Due to ongoing extensive bushfires in the local surrounding area, we have decided to cancel this Open Garden on February 24th. We apologise for any inconvenience. The gardens will be open again on Sunday the 10th of March, all being well. Please watch the website for any updates. Chris and Annie Jones are delighted to open up their exquisite 10-acre garden for viewing this month 2018 on Sunday the 28th of October at 10 am. The English- style country gardens are divided up into many different rooms, all showcasing colour and fragrance. 'Glenrock' has won many awards over the years including the Best Australian Garden by the viewers and readers of Better Homes and Gardens in 2006 and was designed by Carolyn Robinson over a 25-year period. The self-guided garden tour costs $10 per head (children under 16 are free) but if you would like morning or afternoon tea (coffee, tea, locally- made delicious scones with jam and cream) please bring an extra $5 per head. Chris and Annie would like to give 20% of the proceeds back to the local community via the Rotary Club of Tenterfield. Due to the size of the garden, a duration of 1 -2 hours is recommended. Remember to bring an umbrella (if inclement weather), a hat (although there is plenty of shade) and preferably, closed -in shoes. The Spring event is taking place at Glenrock Gardens and we're excited to be part of this fabulous gourmet experience! Delicious mouth-watering fare prepared by the talented Arabella and Travis and support and promotion of the local producers. Book your tickets early to ensure a spot! Visit tenterfieldtable on insta!! 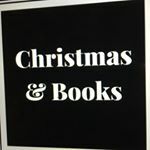 Come and see what's happening at the launch of Christmas and Books! It's an online store being launched at the gardens and a perfect time to start planning your gifts and get a headstart to Christmas! Chris and Annie Jones are delighted to open up their exquisite 10-acre garden for viewing for the first time for the Spring season of 2018 on Sunday the 9th of September at 10 am. The English- style country gardens are divided up into many different rooms, all showcasing colour and fragrance. 'Glenrock' has won many awards over the years including the Best Australian Garden by the viewers and readers of Better Homes and Gardens in 2006 and was designed by Carolyn Robinson over a 25-year period. The self-guided garden tour costs $10 per head (children under 16 are free) but if you would like morning or afternoon tea (coffee, tea, locally- made delicious scones with jam and cream) please bring an extra $5 per head. Chris and Annie would like to give 20% of the proceeds back to the local community for the Tenterfield Men’s Shed.